Virgin Forest in Belarus as seen by The runner — one of the Show Off Your Forest Contest's submitted entries from the category Economic. Olympus America has recently opened the 10th (2013) edition of its BioScapes International Digital Imaging Competition and is now accepting the world’s most extraordinary microscope images of life science subjects. 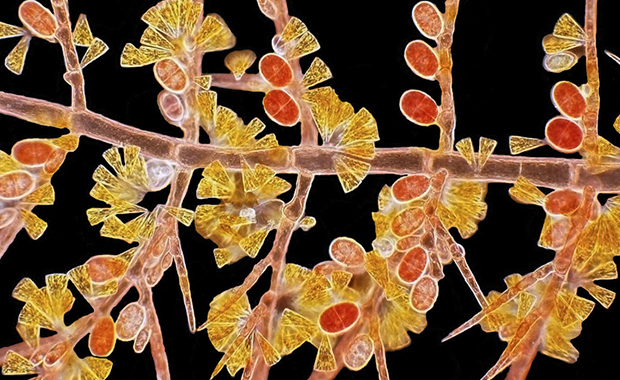 Through BioScapes, Olympus America recognizes outstanding images of life science specimens captured through light microscopes, using any magnification, any illumination technique and any brand of equipment. The Competition is open to anyone who is at least 18 years of age as of the date of entry. Three (3) main and seven (7) additional prizes will be awarded in 2013. One first prize winner will earn Winner’s choice of Olympus products valued at $5,000 and an expense paid trip for two to the awards reception in December. Selected winning images also become part of a traveling exhibit tour of museums and academic institutions.